John Gruber recently posted a long-ish item about the "Title Junk" that he finds on many websites. The gist of the argument is that many sites knowingly or unknowingly use overly complex or just plain confusing page titles (e.g. "'2001' — the Monolith and the Message :: rogerebert.com :: News & Comment") for web pages, which then end up as the name of the link on bookmarking sites, in your browser history, etc. He suggests using much simpler and clearer titles to make life easier for users. I'd have to agree that page titles are for the most part overly long, and often packed full of SEO keywords. So why do CMS systems and website designers insist on using these kinds of page titles? Because the real audience for these page titles is not the end user, but rather the GoogleBot. So make titles useful. Write them for humans, not search engine spiders. Putting SEO keywords in the page title (a) doesn’t actually help your page’s rank in search engine indexes, and (b) makes things harder for people trying to tweet a link, bookmark your page, or scan it from a list of currently open windows and tabs in their browser. Trust the Googlebot to figure it out. While I agree with most of Gruber's article, I'm not sure I agree with this part. At Nelso, we try to keep the length of page titles to a minimum, but we do also try to make them useful for search engine crawlers. Some of the page titles are longer than we'd use if there was no such thing as a search crawler. I have no special knowledge of the algorithm that Bing, Google, Yandex, Seznam, et al use to rank pages in the index, but it really seems to matter what one puts in page titles. Take a look at a Google search for "Sushi Prague 6". The majority of the pages that appear in the top ten results for that search have all the keywords in the page title. One of the top results for that search, Mashhana Sushi House, has a title on our site of "Mashhana Sushi House - Prague 6, Czech Republic (Sushi, Japanese Cuisine, Korean Cuisine)". Sure, the title could be a lot shorter, but I'm not convinced that we'd rank so well if we shortened the page title to just the name of the business. So, until we have evidence that page titles really don't matter to search engines, we'll continue to balance both the needs of users and search engines when creating page titles. 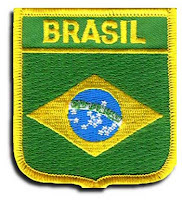 We're very close to launching a new site for travelers from Brazil (we don't have any local search listings for Brazil) at Nelso.com.br. This is an exciting opportunity for Nelso — Brazil has more internet users (about 72m) than Germany, and far more than the combined populations of Denmark and the Czech Republic (where we operate our most popular sites, Nelso.dk and Nelso.cz). Even more encouraging, Brazilians have recently been increasing their spending on foreign tourism, including a 70% increase in spending on trips to the U.S. in just the last year. Are you a Portuguese-speaking tourist headed to Amsterdam, Prague, Copenhagen, Stockholm, Barcelona, or hundreds of other cities? We've got you covered. There's been substantial progress made on Nelso.lv, and very soon we will be able to start properly promoting the site to Latvian speakers. Take a look at a list of the translated categories for Prague, Barcelona, and Stockholm. Even in this state I think it's a useful resource for the Latvian traveler. UPDATE 8/12/2010: The core translation is now almost complete. We've been working on processing all the photos we took in Amsterdam in early October, and there are now more than 1,300 fully verified business listings on Nelso (and thousands more to come over the next few weeks). Of course, these are available in all the languages we support (for example, here's a list of Amsterdam restaurants in German). As we now have most of the center well covered, we'll be issuing an iPhone app for Amsterdam soon. UPDATE ON DECEMBER 8, 2010: We've now processed more than 2,000 verified listings for Amsterdam. We've launched a new site for Latvia (more by accident than by design) at Nelso.lv. The translation is only about 3% complete at this point, but we do have a list of Prague cafes in Latvian. We've got 50,000 photos of Amsterdam businesses in our queue. They'll take at least a few weeks to process, but when done should give us some of the best local search coverage of Amsterdam available on the web. Much to our disappointment (we're in the iOS offline travel guide business, after all), the new iPod Touch 4 does not come with built-in GPS. It does have the ability (as the older iPods Touch did) to get a location using a WiFi signal. It also has a new feature (first launched in the iPhone 4) in that it contains a gyroscope. Along with the accelerometer, and WiFi as a way to input an initial position, we should now have all the tools required to build an (albeit crude) inertial navigation system for the iPod Touch 4 (some might call this "dead reckoning") . Has such a thing been built yet? I wish I had more free time - I wouldn't mind taking a crack at it myself. Both my sons have an iPod Touch, and there's no better torture test for a consumer electronics device than to give one to a three-year-old and let him play with it. I think one of the reasons that small children are so destructive is that they don't understand the concept of money, and therefore don't fear breaking an expensive hand-held computer like an iPod Touch. But my oldest son recently subjected his second-generation 8GB iPod Touch to the ultimate torture test - he tried to continue playing Angry Birds while diving to the bottom of a pool. When he came back up, and I realized he still had it in his hand, I took it away, dried it off with a towel, and watched the display distort (the way they portray a long-distance video call in movies) before it died. I set it on the shelf to let it dry out, thinking it was dead forever. But after a week, I plugged in the power, turned it on, and it worked. Well, the WiFi no longer works, but other than that it seemed to be no worse for wear after its underwater expedition. However, I found that the only apps that I could open were the apps supplied by Apple with iOS. No third-party apps would launch (they quit after the splash screen) - not even apps that don't use the WiFi connection. I don't see the WiFi as being the problem, because as you can see from the video below, even Apple-supplied apps that require WiFi (e.g. 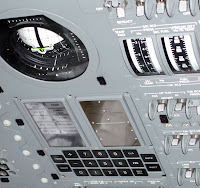 YouTube) launch without problems on this submarine iPod. The answer to this mystery is obvious: Apple has a secret API in iOS that allows apps to work underwater. And why does this API exist? I can only assume that the Simpsons writers have inside info, and Steve Jobs really does run Apple from an underwater lair on the ocean floor. I demand that Apple make this API public. 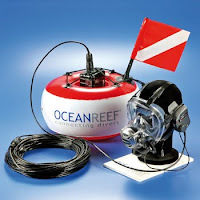 We could then release an app that would cover not only the land portion of Australia, but could also be used by scuba divers while diving in the Great Barrier Reef (and the off-line function of our apps would be a big bonus here - GPS doesn't work underwater, and getting a cell signal underwater requires some serious equipment). 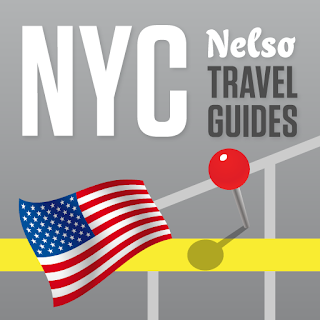 And speaking of iPods and iOS, Nelso has an ever-growing catalog of off-line travel apps for the iPhone and iPod Touch. You can download our most recent app, an iPhone guide to Barcelona, for free from the App Store. Based on our stats from Flurry for our Prague iPhone app, over 80% of the users of the app in the Czech Republic are on the O2 (formerly Eurotel) network. It's a well-known fact that O2 has the lion's share of business and high-income customers in the Czech Republic, but I was surprised by these numbers. Of course, these numbers only represent what we are able to measure. That said, the Nelso Prague app is installed on over 5,000 Czech iPhones, so this is a pretty good sample. AdMob recently released its Mobile Metrics Report for April 2010, and along with this they released a spreadsheet showing iPhone OS usage in their network broken down by country. While this raw data is by itself very useful for iPhone developers (e.g. we really should support French in the Nelso iPhone apps), I thought it might be interesting to see how these numbers compare to the populations of the various countries in which the iPhone is sold. Thus, I've taken AdMob's numbers and divided them by the population of the country (using figures from Wikipedia) to arive at a rough estimation of iPhone OS penetration. Keep in mind that the real numbers will be higher than this - AdMob can only measure requests to its ad network. For comparison, AdMob claims approx. 10m iPhones in the U.S., while AT&T reports more than 15m iPhone subscribers on its network. I haven't included every country in the report, just the top 20 and a few other countries that interest Nelso (e.g. Czech Republic, Poland, etc.). For the full list, grab a copy of the spreadsheet from AdMob's site (you'll have to insert the population numbers yourself, of course). Singapore looks like the big winner here, with over nine percent of the population using an iOS device. Assuming these device numbers are low, and that 25% of the population is either under 15 or over 65, iPhone use among young(ish) men in Singapore must be impressive indeed. Although Google certainly has an impressive algorithm for ranking pages in its index, I think the real strength of Google's search is the speed and depth of its indexing. We've recently photographed the entire Malmö, Sweden city center, and we're now in the process of getting these new places into the Nelso database. 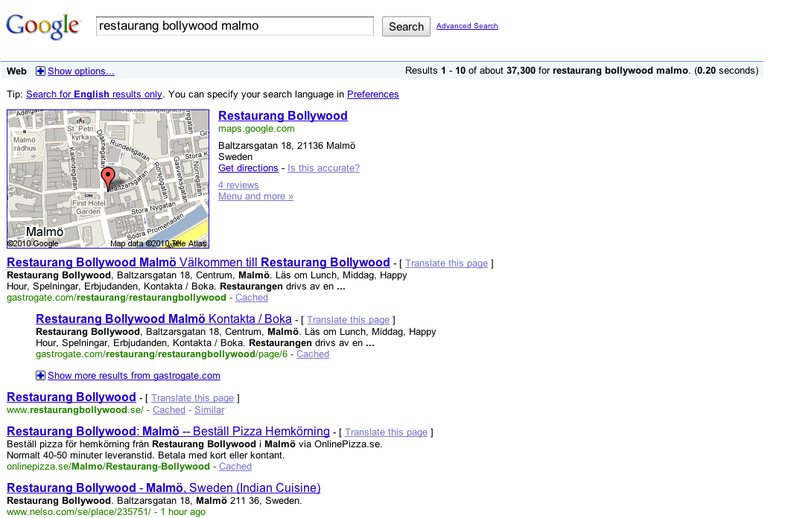 An entry made one hour ago, Restaurang Bollywood, has already been indexed by Google, and already ranks fairly well (#5). This is astounding. One could hardly call Nelso a major site, and the fact that Google still monitors our site constantly for new content shows how serious they are about having the best search on the internet. Yahoo! and Bing would likely be more significant sources of traffic for Nelso if they would index us as well as Google. UPDATE (Dec 8, 2010): Eight months later, we no longer rank on the first page for the specific restaurant, but we do rank #2 for our category listing for Indian restaurants. You can download the Nelso Prague iPhone app for free in the App Store. Based on page views, these are the most popular Czech businesses in the accommodation category since January 1, 2010. Photography and data collection in Budapest is going well, and we now have listings in over 150 categories. Within a few weeks, our coverage of Budapest will be better than our coverage of Prague. 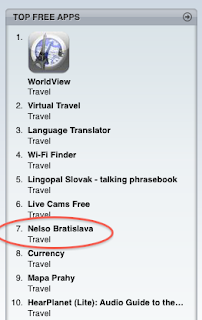 Despite being in the App Store for less than 24 hours, our new iPhone app for Bratislava is already #7 in the Travel category. This isn't much of a surprise - there's not a lot of competition for Bratislava apps currently, and we're the only ones offering a free app. This is a "beta" release; we still have thousands of business photos to process for Bratislava, and we don't have the app localized into Slovak yet. But we wanted to release it as soon as possible, to judge the demand for an app for a small (Bratislava has a population of about a half million people), less touristy city than Prague. What might a "sponsored listing" on Nelso be worth? The only advertising on the Nelso sites currently is Google AdSense. We use AdSense because it is very easy to implement, and doesn't require us to sell advertising directly. However, in certain markets (e.g. the Czech Republic, Hungary) we feel that it would be far more profitable to sell advertising directly, and the most obvious way to start is with "sponsored listings". A sponsored listing is essentially selling preferred placement to businesses. For example, a business would always appear as the first result for "burgers", even if they were not the closest result based on the search area of the user. Every major local search site sells sponsored listings, including Yelp, Yahoo! Local, Qype, and the Yellow Pages. What effect does it have to place a business first in search results? As for #1, the easiest was to test this is to choose some business and place them first for searches relevant to their business category. In early January, we did exactly that with the business listing for the Jama Pub in downtown Prague. As can be seen in the graph, page views for Jama increased 3x from the time we put Jama at the top of search results (early January), while page views for another popular pub in Prague, U Zlatého Tygra remained relatively stable1. As for #2 (how much we should charge), I still have no idea what this increase in traffic is worth to a business. What we'll do is set the price very low to start - 20 EUR per month. If you're interested in buying a sponsored listing on Nelso (3 months minimum), send us email at info@nelso.com. 1 Don't read too much into the graph above. U Zlatého Tygra still gets far more traffic than Jama. The graph only shows the relative change in traffic over the last few months. Nelso was one of the winners of the "popular vote" at Prague Seedcamp on March 2, 2010. Other winners were FX Bees, Middlemachine, Preryskop, and Trustyard. The Seedcamp blog has more coverage of the event. Nelso was selected as one of the 20 finalists for Seedcamp Prague. I'll be presenting on Tuesday, March 2, and will probably also stop by the OpenCoffee event Monday evening at Jazz Dock. Here's something that we don't see very often: we are ranking above TripAdvisor.com for some searches for accommodation. 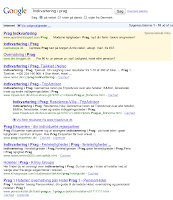 For example, when searching in Danish for "accommodation in Prague" ("Indkvartering i Prag") we rank #1 on Google. We even rank #2 in Danish for searches for accommodation in Copenhagen ("Indkvartering i København"). Our limited SEO strategy has never targeted hotel and accommodation searches; we've always assumed that the competition in this space is so intense that it makes little sense to spend our time trying to rank for searches like "hotels in Prague". I spent the week-end in Budapest, to kick off our coverage of that city for our web site and for upcoming Budapest iPhone and iPad apps from Nelso. We expect to formally launch Nelso.hu on April 1, 2010 (although the site is already live for beta testing now). The iPhone and iPad apps should also launch around that time. How many App Store downloads are required to rank in the Top 20 in the Czech Republic? 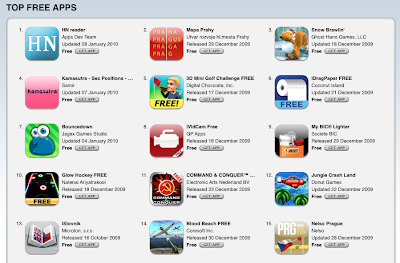 We had exactly 155 downloads of the Nelso Prague iPhone app in the Czech Republic1 yesterday (January 7, 2010), which earned us the #15 spot for free apps. This put us ahead of Google Earth, Facebook, and Skype. The previous day (January 6, 2010) we had 125 downloads in CZ, which got us the #25 position. Based on this info, I'd guess that the total number of downloads from the App Store in the Czech Republic yesterday was fewer than 10,000. 1 That is, we are counting here only downloads from users in the Czech Republic, and not including downloads from any of the other App Stores. Our iPhone app for Copenhagen was approved very quickly (36 hours) and is now available in the App Store. The app is free and about half the size of the Prague app (there are fewer photos in this app, but that will be corrected soon). Download it and send us feedback at iphone@nelso.com or leave a comment below. The Nelso Praga (Italian version) iPhone app started climbing the charts in Italy leading up to Christmas, and on New Year's Day it had hit #16 in the Travel category. This has far exceeded our expectations. It's well known that a lot of Italians come to Prague for New Year's Eve, but because our app is specific just to the city of Prague (unlike, say, a translation app or currency convertor that might be downloaded by travelers going to any city), we were hoping only to rank in the Top 100 for travel apps, not to break the Top 20 and appear on the first page of the Travel section. Having the only free app in Italian for the search term "Praga" doesn't hurt, of course, but it's still (to us) a surprising result. Needless to say, this has encouraged us to continue improving the Prague app, and to release similar apps for other cities. We'll be submitting an app for Copenhagen this week, and apps for other European cities later in January.